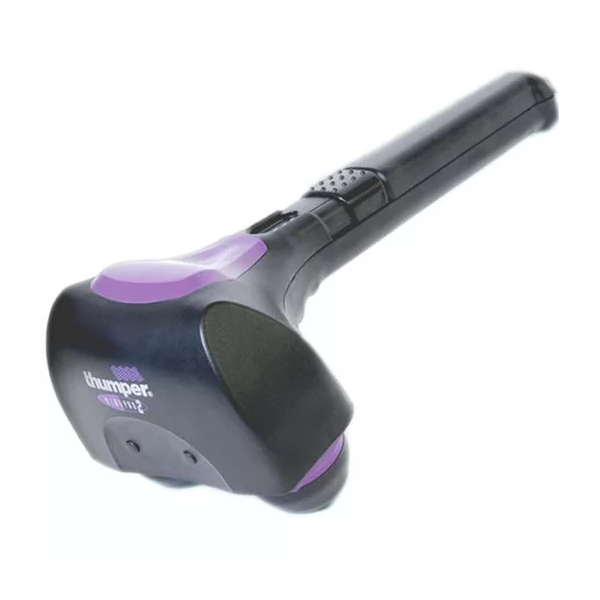 Thumper Mini Pro 2 A lot of power in a little package, The MINI PRO2 is a professional strength massager in a personal, self-use size. Using the same patented Thumper percussive action, the MINI PRO2 was designed for those hard to reach areas like the shoulders and mid-back. Weighing only 3 pounds (1.4 kg), the MINI PRO2 has three electronically regulated power settings for use on both thick and thin muscles.